If you’re anything like me, you probably like to lay on your bed and watch Netflix. The most relaxing moments of my day involve being swathed in blankets in a semi-vegetative state. There are undoubtedly more productive and healthy ways to pass the evening hours, but I sometimes suspect productivity is an overrated virtue. And so I turn on the TV and allow the opiate of the masses to overtake me. With all the options on Netflix, it can be hard to settle on something. Here is some of what I’ve been watching. 1. Bill and Ted’s Excellent Adventure—This is one of my favorite movies ever. If you’re unfamiliar with this late ’80s gem, here’s a brief synopsis: Two burnout teen musician types travel through time collecting historic figures to bring back in an effort to ace their history report. Keanu Reeves is possibly at his finest as an actor here, and you’ll never find more endearing imaginings of Genghis Khan, Napoleon, and Socrates. This movie has it all: adventure, comedy, romance, and George Carlin. The killer soundtrack of upbeat ’80s rock is an added bonus. 2. Fireplace For Your Home—If you don’t have a fireplace or you don’t trust the structural integrity of your chimney not to set your house on fire, flip on this thirty-minute video. A cracklin’ approximation of the real thing is surprisingly cheery. Insider tip: The musical accompaniment option sounds like hold music. Stick with the basic fire sounds and add your own soundtrack. 3. Bram Stoker’s Dracula—There has never, to my knowledge, been a faithful adaptation of this classic horror novel. This movie comes somewhat closer than others though. Something to appreciate about this film is that for special effects Francis Ford Coppola and Roman Coppola used a lot of the same “naïve” technology—double exposures, hand-cranked cameras, miniature models—that would have been available during the early twentieth century, around when the story is set. So what may seem like clumsy special effects to the viewer is actually deliberate styling. Elaborate costumes and studio sets make this movie visually dazzling as well. 4. The Fall—There are two seasons of this show available, and you may find yourself binge-watching it after the first episode. Jamie Dornan plays a sociopathic Irish serial killer. Gillian Anderson is the strong female detective hunting him down. Everyone on the Oklahoma Today editorial staff has watched this show and discussed it at great length. It’s addictive. 5. An Idiot Abroad— If you’re a fan of Ricky Gervais and awkward British comedy, you’ll be endlessly entertained by this travel show starring Karl Pilkington as the reluctant host. Gervais and his comedy partner Stephen Merchant throw Pilkington into innumerable situations outside of his narrow comfort zone and hilarity ensues. His observations and reactions will either leave you laughing hysterically or feeling like an uneasy spectator. 6. 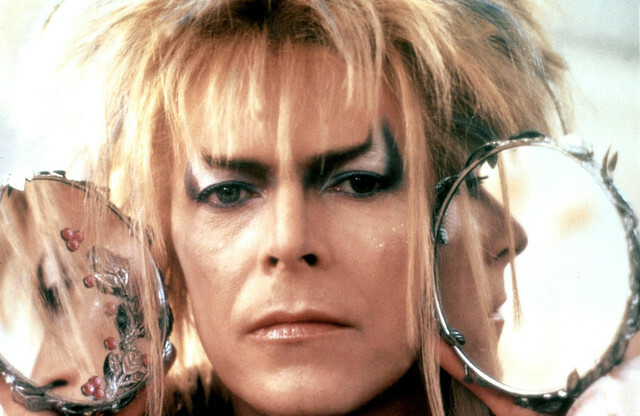 Labyrinth—A good rule of thumb: If a movie has David Bowie in it, I want to watch it. He’s perfect in the role as goblin king Jareth, a dancing, singing, heavily made-up antagonist with a penchant for stealing babies and wearing shockingly tight pants. Jim Henson’s Muppets are as terrifying as they’ve ever been in this children’s movie, but as an adult they don’t have me fleeing the room in tears anymore. 7. Roseanne—The entire series is on Netflix! It’s relatable and refreshing to see a bunch of real-looking, overweight, lower middle-class people in an American sitcom dealing with everyday things. Give it a try.